Hello! I'm Kate Russell. 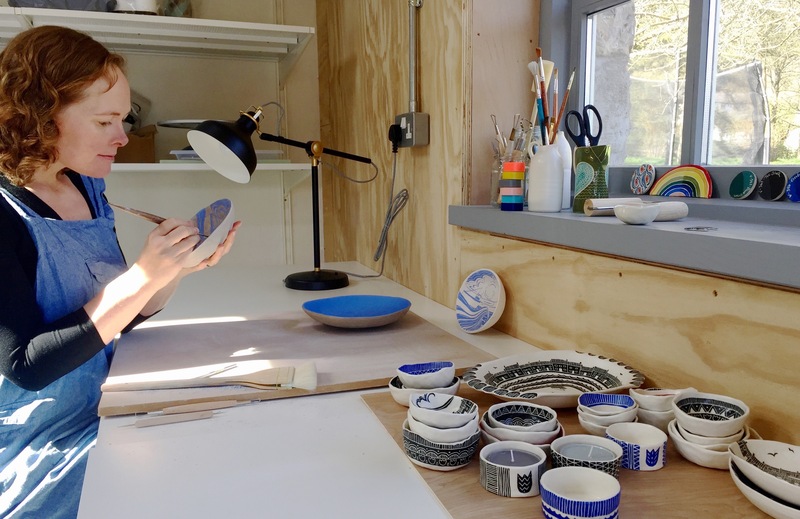 I design and create Skratch Ceramics products at my home studio in South Wales. All of my pieces are hand-built in white stoneware, which results in items full of character and individuality - lumps, bumps and wobbly edges abound. No matter the technique I have used to make the piece - coiling, pinching, moulding or slab-building - I decorate them all with the same method. 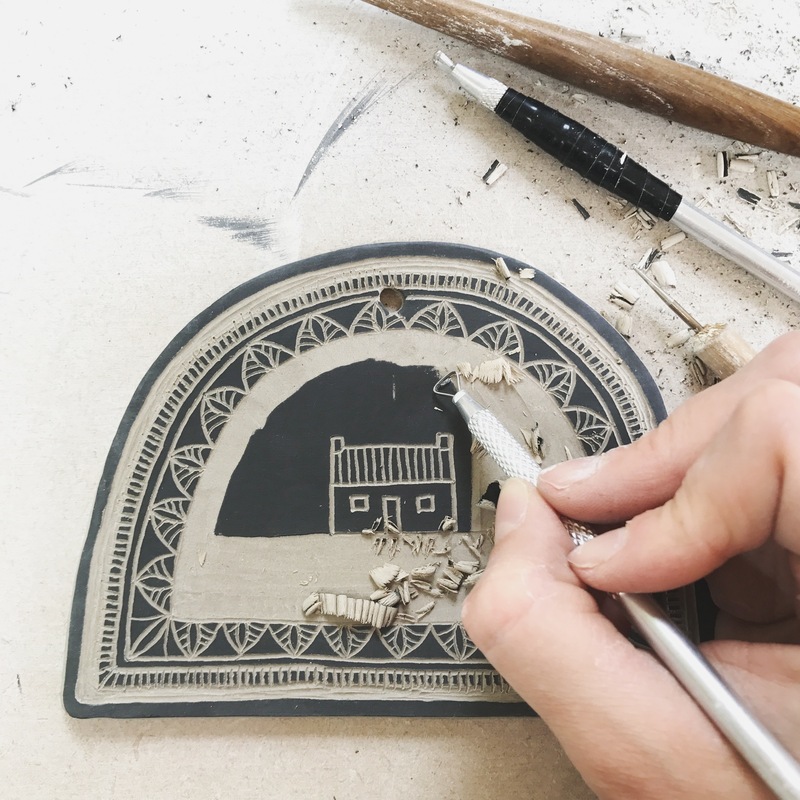 Sgraffito means 'to scratch' in Italian and it is the the name given to the process of scratching though a top layer of slip or underglaze to expose the clay below and create a decorative pattern. I simply love the feeling of carving away at the leather-hard clay and bringing a piece to life! Once decoration is complete my pots undergo a high temperature firing to make them durable and watertight. They're finished with a wonderfully tactile, lead-free, food-safe, silky glaze. I'm very lucky to have a beautiful garden right outside my studio window that provides plenty of inspiration. I'm also influenced by the Welsh culture and landscapes, folk art and Delft-ware. Although I make batches of work with the same pattern theme, I enjoy incorporating slight variations each time, which together with the hand-built nature of my work, means that each item is truly unique. In June 2017 Amaco Brent interviewed me for a feature on their blog, so if you'd like to find out a bit more about me, you can find the Q&A here. All images and designs © Kate Russell 2017, all rights reserved.